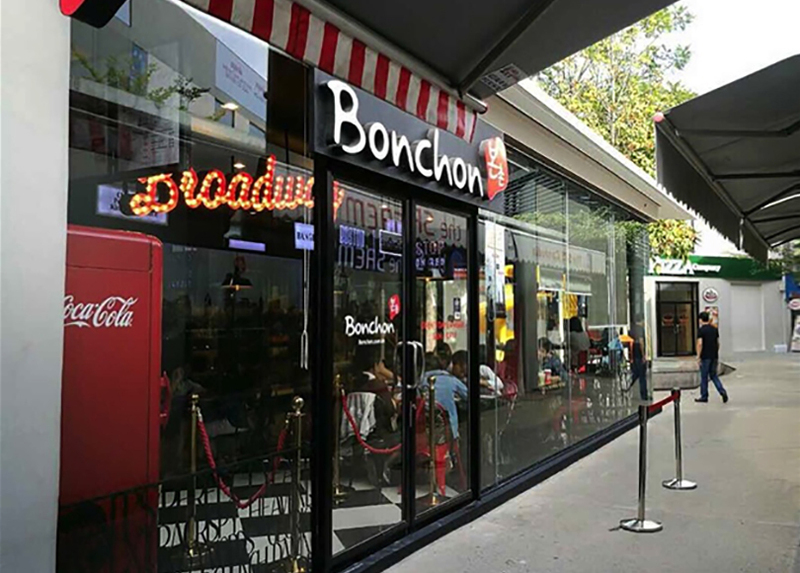 SOHO Diversified Group opens its fifth Bonchon location at TK Avenue Mall in the Toul Kork district of Phnom Penh. The outdoor lifestyle boutique mall is popular for its modern dining, shopping, and entertainment options. In line with the nearby Legend Cinema, this Bonchon outlet houses many Broadway-themed elements, such as movie posters, busy street signs, and a glowing Broadway sign reminiscent of Times Square, New York.